Mission: Impossible – Fallout is another rounding success in this long-running franchise and for actor Tom Cruise himself who continues to push it up a notch with the action sequences and stunts to go along with a strong enough story to carry it across the finish line. Paramount Home Entertainment has announced the date and released artwork for the actioner, Mission: Impossible – Fallout starring Tom Cruise, Henry Cavill, Ving Rhames, Simon Pegg and Alec Baldwin. Click on the link below or image to the left to check out the features and artwork. Mission: Impossible III is a nice change-up from the lame sequel with a better emotional core for Ethan Hunt as a character and Cruise seemed far more at ease in the role compared to M:I-2. Despite only having a relatively short 94-minute running time, Source Code is a far more impactful film than others that are a good 40-50 minutes longer, the reason in part is the efficiency of director Duncan Jones. Lionsgate Home Entertainment has announced the date and released artwork for the sci-fi thriller, Source Code starring Jake Gyllenhaal, Michelle Monaghan, Vera Farmiga and Jeffrey Wright. Click on the link below or image to the left to check out the features and artwork. Lionsgate Home Entertainment has announced the date and released artwork for the mystery-drama, The Vanishing of Sidney Hall starring Logan Lerman, Elle Fanning, Michelle Monaghan, Nathan Lane and Kyle Chandler. Click on the link below or image to the left to check out the features and artwork. The DC Universe: 10th Anniversary Collection is an excellent release that even though some of the animated movies aren’t the best, having them in one place is nice. The only issue I have is, there is going to be more releases and given how physical media is going, not entirely sure there will be a volume 2 release, but who knows. Universal Pictures Home Entertainment has announced the date and released artwork for the crime-thriller, Sleepless starring Jamie Foxx, Michelle Monaghan and Dermot Mulroney and directed by Baran bo Odar. Click on the link below or image to the left to check out the features and artwork. It’s easy to see why Blindsided had a hard time seeing a home video release after some distribution overseas. 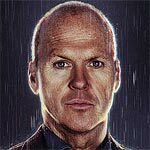 Michael Keaton is easily the best part of the entire film making it from a utter turkey to something watchable if only one time, though I can’t say it’s worth even a rental. The Best of Me is the typical Nicholas Sparks tripe that was permissible in his earlier adaptations (still like The Notebook in spite of a few flaws) and now we get the template and a predictable story capped off with a chuckle-worthy conclusion which only had me cursing at the screen. 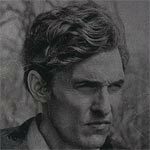 “True Detective” is one hell of a series propelled with sharp writing, enough of mystery plot to keep one’s involvement and, most of all, incredible performances particularly from Matthew McConaughey who is yet again in top form and an amazing follow-up to his Oscar winning performance in Dallas Buyer’s Club and for this, he’ll be in the race for an Emmy. 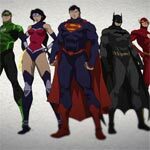 Justice League: War might not be the best of the DC Universal Animated Movie line and a step down from Justice League: The Flashpoint Paradox and The Dark Knight Returns, but it is entertaining enough though the voice casting this go around isn’t the best, though we might be stuck with them given War is to be the first of connecting DCUA movies. This Mission: Impossible “Extreme Blu-ray Trilogy” is hardly extreme and in fact is underwhelming. Each of the discs is merely repackaged with the same features and for the third film, actually removed a second disc full of features. The audio and video transfers are alright but could’ve been better, although the third film does fare the best. Despite only having a relatively short 97-minute running time, Source Code is a far more impactful film than others that are a good 40-50 minutes longer. The reason in part to this is the efficiency of director Duncan Jones who jumps in to the mainstream after the success of indie hit Moon and makes a splash.